Car keys have come a long way from the traditional mechanical cut keys that were once ubiquitous. As technology has evolved, the simple car key has been updated and improved. Despite these improvements, some issues may persist. From locking keys in your vehicle, losing keys or even having a key become stuck in the ignition, when something goes wrong it can lead to a headache. Working with a Seattle automotive locksmith can help resolve many key-related issues. To correctly identify the problem and explain to a locksmith the full extent is the situation it helps to know the type of key you have. Here is a breakdown of the types of car keys available. The primary mechanically cut car key features a series of unique cuts and ridges that correspond to the ignition. The key features cuts on one side and it can only be inserted into the ignition one way. If flipping the key will not fit. Mechanically cut keys can easily be copied. Mechanical cut keys are susceptible to a variety of issues. The key can break or become lodged in the ignition. As is the case with anything small, keys can be misplaced or even locked inside the vehicle. As the name implies, a laser cut key is made using a laser that provides a precision cut. Laser cut keys are also referred to as internally cut keys or sidewinders key due to the process in which they are cut. This type of key features grooves on both sides of the key, making it difficult to copy and therefore more secure than a mechanically cut key. Laser cut keys fit into the ignition from either side, so whichever side is facing up the key will still fit. Laser cut keys are expensive, so if your key is lost or damaged it can be costly to replace it. Many of the issues that plague mechanically cut keys, such as breaking and the ability to lock them in the vehicle, are also a problem for laser cut keys. A transponder key features a microchip, or transponder, embedded in the handle. The vehicle will not start unless a key with the proper chip is turned in the ignition. For example, if a key without the chip is inserted in the ignition the car will not turn on even if the key fits. This is a security feature that ensures if the key is copied that new key will not work. 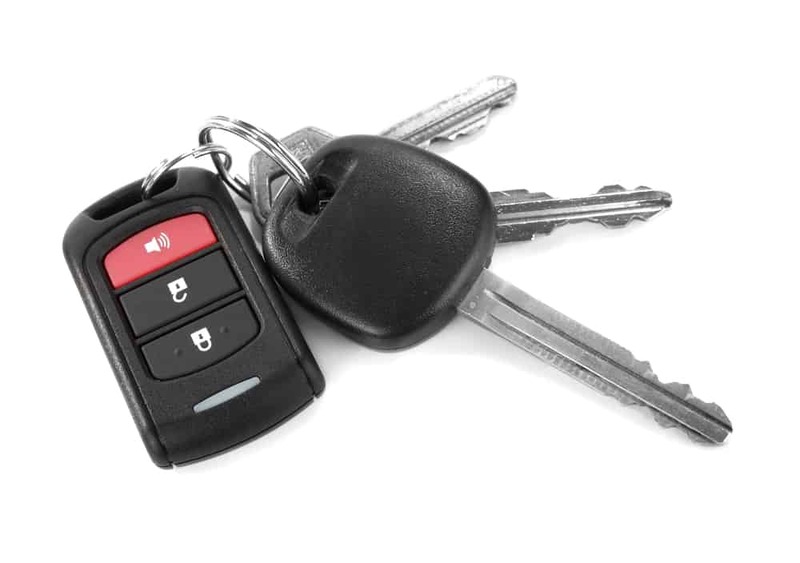 Only car dealers and automotive locksmiths can create working copies of transponder keys. Smart car keys work like remote controls. From a distance, doors can be opened and closed, and the vehicle can even be turned on. Smart keys have distance limitations, but in most instances, the key will work if you are inside your home and your car is in your driveway or parked in front of your residence. Some smart keys have sensors that make it impossible to engage the door locks if the smart key is in the vehicle when the car is turned off. Savvy criminals can compromise smart keys, so know what signs to look for and take proper precautions to keep your vehicle safe. Keys with an embedded vehicle anti-theft system are known as VAT keys. The key features a resistor chip that serves as an added layer of security. VAT car keys are similar to transponder keys but more secure. The premise is similar, but VAT car keys are much more difficult to copy, so if someone attempted to make a copy of your VAT key they are not likely to be successful. Valet car keys feature limited functionality and are typically paired with a transponder or smart car keys. A valet key can control the door locks and ignition, but it cannot be used to gain entry to a locked glove box or the trunk. As the name implies, a valet key can be handed off to valet service, allowing the car to be driven and locked, but items secured in certain areas of the vehicle will be inaccessible. Manufacturers each have different places where valet keys are stashed. Sometimes a valet key may fit inside the fob of a smart key. Other manufacturers may include a valet key inside the owner’s manual. If your vehicle is equipped with a valet key, find it and find a place other than inside of the vehicle to store the key to preventing theft. Being able to identify the type of key your vehicle uses can allow you to resolve an issue yourself. If not, understanding the type of key enables you to explain the issue to a local automotive locksmith adequately. When the locksmith understands the point, they can quickly and efficiently fix the problem and get you on your way.